When the U.S. Department of Justice selected the Garden City Group to facilitate claims in the Full Tilt remissions process, it chose the leader in the field. The GCG has been in the claims administration business for over 25 years, earning respect as the industry’s top dog in administering settlements. The company website boasts experience that includes mailing over 287 million letters of notice, fielding more than 28 million phone calls, and processing tens of millions of claims that led to the distribution of billions of dollars. The GCG employs over 1,000 people in four regional offices and a number of other processing centers throughout the U.S.
For U.S. Full Tilt Poker players who have been waiting for their frozen funds for more than two years, it is comforting to know that a reputable and well-respected company has been chosen to handle the task. It is not easy to sort through the mounds of information pertaining to millions of players who are owed some $184 million. And that stack of documentation will become even more burdensome once the actual claims of players start rolling in to be processed. There is no doubt that the GCG can handle the job in a most accurate and efficient manner. A scan of the number of cases entrusted to their care in the past and present is evidence of that. However, due to the company’s size and the number of other claims currently in its charge, players can expect that the receipt of owed funds will not be handled in an expedited fashion. Poker Players Alliance Executive Director John Pappas recently stated that the PPA has considered seeking assistance from federal lawmakers to possibly speed up the remission process. Players would naturally welcome such efforts in order to be reunited with their funds sooner rather than later. But the truth of the matter, as unfortunate as it is, is that reimbursement will undoubtedly still take a considerable length of time. It’s important to remain patient. A considerable amount of time is needed to fully process and investigate the many Proof of Claim submissions we receive, and to administer any applicable settlement. Moreover, because a proof of claim asks for only the most basic information, it is more than likely that additional data will be requested from you before we can process your claim. 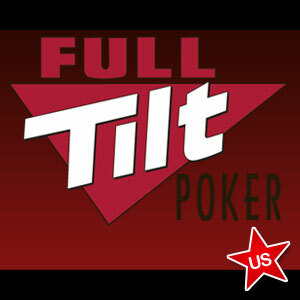 Many U.S. Full Tilt players have been anxious to become reacquainted with their frozen funds and patience has been wearing thin. This is understandable. However, the size and depth of the Full Tilt matter, as well as the fact that the GCG already has a number of huge cases to sort through in its care, means that players will likely have to continue waiting for quite some time.